Ninh Binh is about 90 km away from Ha Noi to the south. Ninh Binh is located on Red river delta with geographical co-orrdinate from 19050' to 20027' at Northern latitude and from 105032' to 106033' at Eastern longitude. 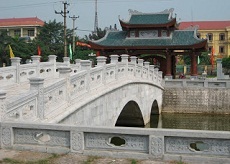 Ninh Binh shares the administative border with Ha Nam in the North, Nam Dinh in the East, the East Sea in the Southeast, Thanh Hoa in the West and Southwest, and Hoa Binh in the Northwest. 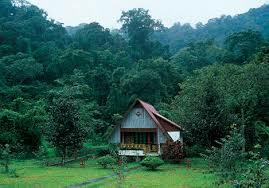 With over 1,400km2 of natural area, Ninh Binh has forests, sea and a diverse system of fauna and flora. 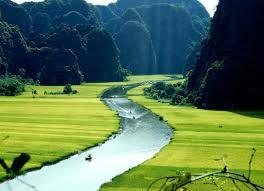 Ninh Binh topography encompasses plains and the mountains of the Vietnam northwest mountain range. Ninh Binh also keeps a strategic position for military security and social development. Here, troops were usually rallied on their way to the north or south of Vietnam, creating famous victories in Vietnamese national history. 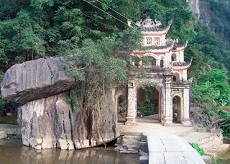 Ninh Binh is endowed with many places of particular interest which have been welknown inside and outside Vietnam such as Tam Coc – Bich Dong, Cuc Phuong National Park, Trang An Grottoes and Van Long Nature Reserves. 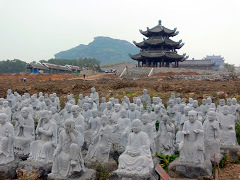 There are also many historical relics, for instances Hoa Lu Ancient Capital, Bich Dong Pagoda, Thai Vi Temple, Phat Diem Stone Cathedral, Tam Diep Defense Line.... All of them are attractive to both Vietnamese and foreign tourists. Ninh Binh is the charming land of myth and unique landscapes. 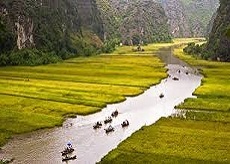 Ninh Binh’s topography comprises three different types of landscapes: wetlands, coastal delta, hills and mountains. 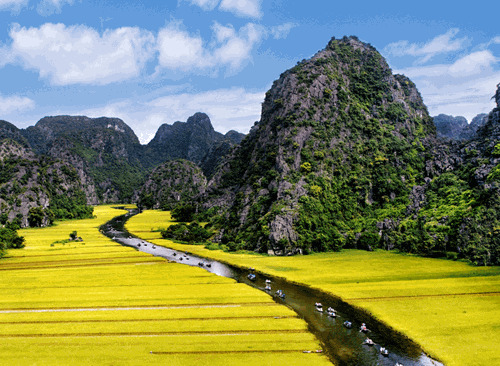 With such a variety of landscapes, Ninh Binh offers many tourist attactions as primitive rain forest, mountains, hills, river delta and the coastal delta. Furthermore, Ninh Binh is endowed with numerous historical relics dating back to the Dinh, Early Le, Ly and Tran dynasties from the 10th-13th century. Anually, Ninh Binh has many traditional festivals reflecting the cultural identites of Red river delta villages. With a deeply rooted history and cultural tradition, the people of Ninh Binh are traditionally very industrious, hard working, studious, kind, patriotic and particularly hospitale. 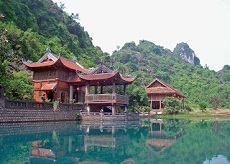 Most tourist attractions are situated within a radius of 50km from the provincial city of Ninh Binh and the linking with all major transport systems as the national highway No 1A and the South – North railway.... Therefore, long distance busses and trains from Hanoi to Hue, Ho Chi Minh city and vice versa stop here making Ninh Binh an ideal place to spend several days relaxing.